An 83-year-old Brooklyn veteran was attacked and robbed by another man in his 60s outside a senior center Monday afternoon, police say. 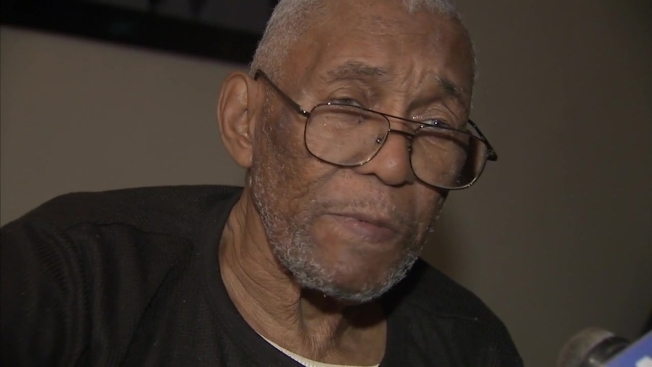 The victim, Ernest McCain, told NBC 4 New York he was leaving a Crown Heights senior center when a stranger walked up to him and accused him of stealing from him. "He said, 'give me your money,'" said McCain. "I said, 'I ain't got no money.' He said, 'Let me search you.' I said, 'No, you don't search me, buddy.'" Police said the suspect punched McCain in the head and stole the cellphone his daughter had just given him. "He grabbed me and my coat, and pulled the whole pocket off, tore my coat and everything," he said. McCain was released from the hospital Tuesday. He said he feels OK but says his attacker is dangerous. "I don't know what he was thinking," he said. The suspect is described as about 65 years old, 6 feet tall and 200 pounds, last seen wearing a multi-color winter knit hat, a black coat with light-colored sleeves, black pants and tan boots. Anyone with information is asked to contact Crime Stoppers at 800-577-TIPS.